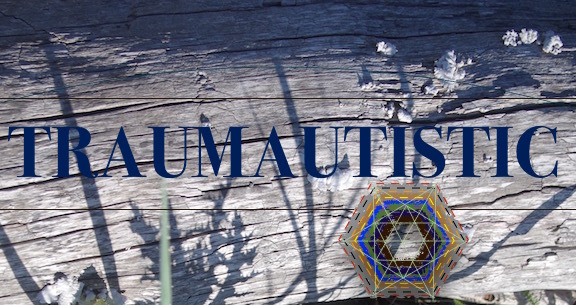 Autism and Traumatic Stress – Gaps in Research – trauma. stress. autism. I want to begin this journey by saying that I have wanted to formally curate research and organize my own thoughts about autism, stress, and trauma for quite some time. Today I found the abstract highlighted below and decided the time was now. We need to be talking about autism and traumatic stress. We need to be researching autism and traumatic stress. We need to be connecting the dots between these two currently separate fields of inquiry, integrating the knowledge. And so, so importantly, most importantly, we need to be listening to autistic experience surrounding autism and traumatic stress and centering the voices of those persons living at the intersection of autism and trauma. Like many other autistic persons, I live at the intersection of autism and trauma. I will absolutely be writing about my own experience as this project develops. Significantly, only some of us know we inhabit that intersectional space where autism and trauma co-exist and compound. I know I exist here, but I only recently learned that was the case. Too many of us are not yet aware that we exist at this intersection. Over time, I will be talking about why so many are unaware or only recently became aware of our relationship to autism and trauma. For now, I open this collection, this new project, by drawing attention to a recent publication that formalizes “a pressing need” for more research about autism and trauma. Please be patient with me as I work out how I’d like to do my citations and links. Please remember that I will be linking to research that medicalizes and pathologizes autism and trauma, and please take good care of yourselves as you read and click. I disagree with the pathologization of both experiences and identities and see from a lens that is self-educating in the neurodiversity paradigm, trauma-sensitivity, and disability rights (more about my own positionality can be found in the About section). However, I also see value in scientific investigation of autism and trauma, especially from fields that are centering neuroscience, autonomics, epigenetics, endocrinology, and psychoneuroimmunology over behaviorist reductionism. Also please be patient with me when all I have to share is a link to the abstract as is the case here. I hope to find a way to access full length articles of everything I share, but for now that isn’t the case. Psychol Trauma. 2018 May;10(3):290-299. doi: 10.1037/tra0000298. Epub 2017 Jul 20. PTSD and autism spectrum disorder: Co-morbidity, gaps in research, and potential shared mechanisms. Haruvi-Lamdan N1, Horesh D1, Golan O1. Department of Psychology, Bar Ilan University. In addition, the unique characteristics of autism may determine which lived experiences register as traumatic injuries (e.g. social insults and degradation, sensory-related pain, lack of agency and control over body, time, and re-exposure to traumatic experiences) and affect both the manifestation and severity of posttraumatic sequelea. The authors conclude by calling on the research community to do more research about the relationships between autism and trauma. They state that, “Such research may carry important clinical implications.” I would add that such research also carries significant implications for the parenting of autistic children and the human rights of all autistic persons. At this point, you may be wondering why I made some of the language choices I made above. I will try to address that in a future post. For now, I am excited to hit Publish and officially launch this project! My research and writing here probably aren’t exactly what the abstract above anticipated as an answer to its call.